Kids will have fun practicing identifying upper and lower case alphabet letters and listening to the beginning sounds with these Christmas Alphabet Worksheets. This is perfect for preschool, and kindergarten, and first grade kids. 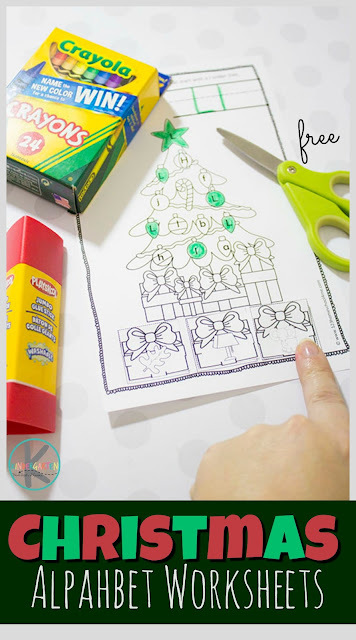 This just may be my favorite educational Christmas printable. I love the theme and the fun practice it provides. These are in black and white to save on ink. After you have printed and assembled your book in order you can do this activity all at once or one letter at a time. Either way you’ll love how LOW PREP these are. Students will strengthen fine motor skills by cuting out the presents. First students will color all the ornaments with the letter on the page. 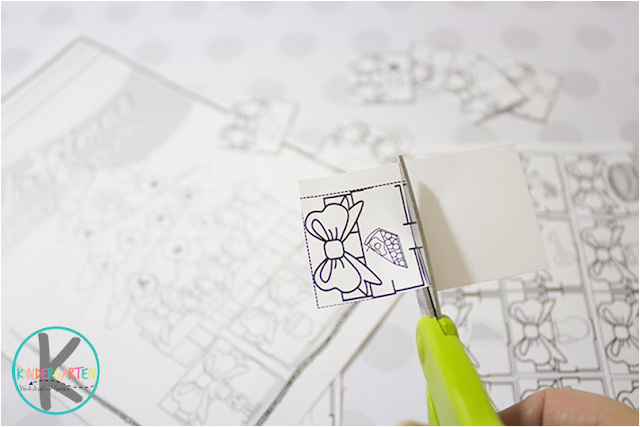 Then kids will paste the three presents that feature gifts that stat with the letter on the tree. Isn’t that cool? Such a simple, low prep alphabet worksheet that practices so much! 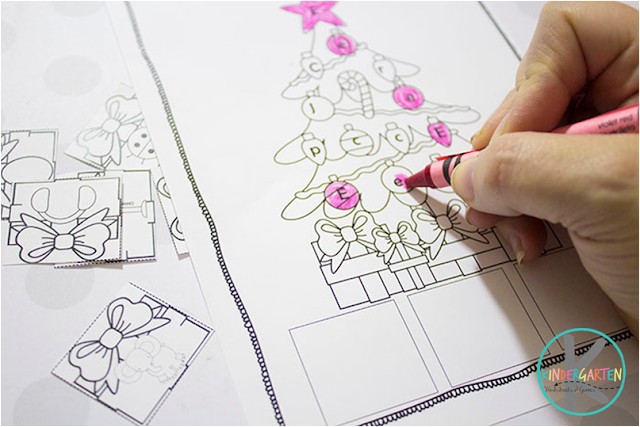 Finally, your kindergartners can color the packages and the rest of the tree. So simple, so fun! Beth Gorden is the creative multi-tasking creator of Kindergarten Worksheets and Games. As a busy homeschooling mother of six, she strives to create hands-on learning activities and worksheets that kids will love to make learning FUN! Beth is also the creator of 123Homeschool4Me.com where she shares more than 100,000 pages of FREE worksheets,& educational ideas for PreK-8th grade along with recipes and mom tips as well.